Every student has their own reasons for attending workshops, and in my experience as a tutor, they can be varied. I like to teach through demonstration, then support and encourage students as they work independently. I hope to inspire, encourage and share my enthusiasm, whilst aiming to meet the needs of each student on an individual basis. My own making has developed with a grounding in techniques and hours of exploration and experimentation. So, I’d like to offer workshops to cater for a range of learning; for those interested in the ‘destination’ (SKILLS BASED), or the completing of a made object to those wishing to make a ‘creative journey’ (SKETCH-BOX), where the process is more important than a finished piece of work. Of course sometimes there is an overlap, and I always like to be flexible and workshops can often throw up unexpected ideas! 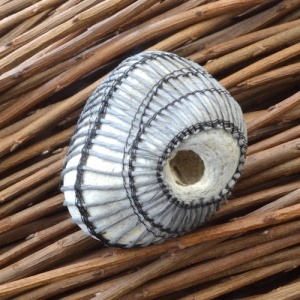 Begin by looking at the structure of a coiled basket to identify the core and stitching material. Learn the techniques for hand stitching around the core to begin the basket, wrap and join threads. 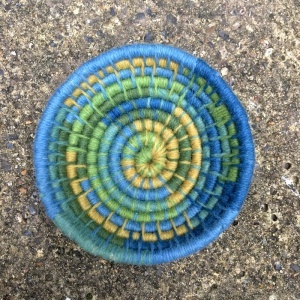 A basic stitching technique will be taught, with suggestions as how patterns could be added with colours and the placing of each stitch. 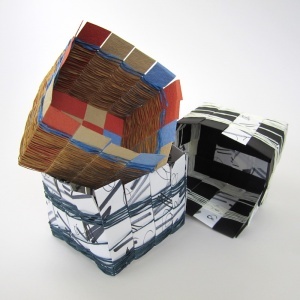 If making a small basket, rather than a mat, learn how to place the core material to build a form. Before leaving, learn how to finish the basket off with the core neatly stitched to against the rim, or to perhaps to form a loop. The day is intended as a skills based day; to try out a technique or perhaps as a refresher. At the end of the day students should take one piece. Learn how to weave strips of flat paper into a three dimensional basket using the technique of plaiting. Starting with colour strips to learn the technique, use the skills learnt to weave a second plaited basket working with decorative paper. Learn how to weave a base, turn the corner, weave the sides and finish the ends. The day is intended as a skills based day; to try out a technique or perhaps as a refresher. At the end of the day students should take home two finished baskets. Explore the process of stitching to create a fabric. Work with a range of flexible textile materials, from the more common to the unusual. Experiment with working flat, working in 3D, in the round and from side to side. Compare stitch variations, materials and tension. Consider ways of joining and finishing. 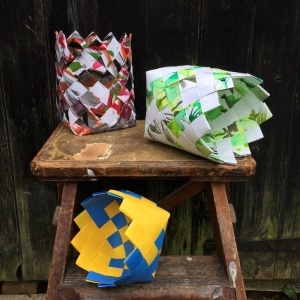 The intention of this workshop is to explore and experiment, with the opportunity to make samples which might provide ideas or a stimulus for future work. Samples would be a good addition to a ‘sketch-box’. Bookings can be made through West Dean College. 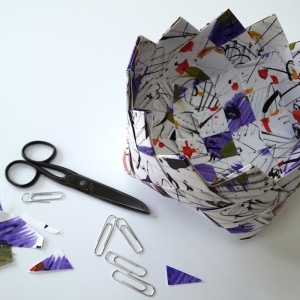 Using a range of recycled, new and decorated paper; explore how paper can be used to make a number of different containers and baskets. With no experience required, the main technique of plaiting will be taught as well as twining. In addition to the learning of both techniques there will be opportunities to develop individual baskets. Bookings can be made through Plas Tan y Bwlch. Learn the technique of twining to create a range of different woven forms, with an initial focus on the basics of the technique. Working with your hands, manipulate the warp and weft threads into forms that could be functional, decorative or both. 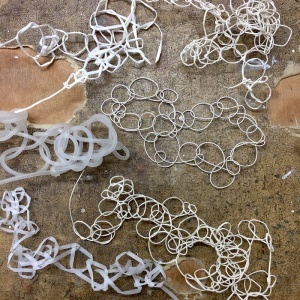 Experiment with the weave to add colour, pattern and texture to the surface of the form. Bookings can be made through Committed to Cloth.